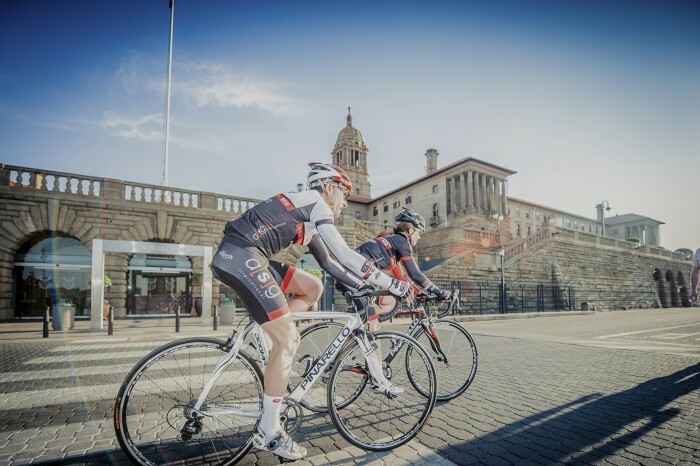 More than 3 000 road cyclists are expected to turn out for the inaugural Bestmed Capital Classic in Centurion, which kicks off the road component of the Bestmed National Cycling Series on Sunday, May 17. Starting at SuperSport Park, the classic is the first of six road and seven mountain bike events that will from part of the new series. Organisers of the 100km road race said they believed it had the potential to become the Jacaranda City’s largest – and safest – mass participation cycling event. According to race organiser Darren Herbst, the event presented a rare opportunity to ride the N14 freeway, which is usually out of bounds to cyclists. “I’m sure many cyclists have driven along this road and thought it would be a pretty cool thing to ride to Krugersdorp and back,” said Herbst. He said the concept had been in development over the past four years but that it had all come together in the last 10 months. These include Sanral and the traffic and police services. Herbst said safety was their primary concern and that the closure of the right-hand lane to traffic would promote their efforts in this regard. In addition, he said, more than 100 marshals and the same number of traffic officers would do duty along the course, which features nine turns and then a long, straight run. “We’ll also have at least 40 motorbikes and 20 vehicles patrolling the course. Herbst said the undulating route would test riders regardless of their fitness levels and could prove to be a little more challenging than some would suspect. “A lot of the potential difficulty will depend on the wind on the day – riding back against it could create some tired legs. “The weekend warriors will have the chance to enjoy a great day out and take each hill one step at a time. The event coincides with the Pretoria Family Festival at SuperSport Park, which offers musical entertainment, food and market stalls for the whole family, all in aid of the Cancer Association of South Africa. A portion of the classic’s entry fee will be donated to Cansa and in return cyclists will enjoy free access to the festival. Although online entries have closed, riders can still sign up at registration, which takes place at Cycle Lab Fourways from 9am to 6pm on May 15 and at Solomons Cycles in Lynnwood between 9am and 3pm the following day. Entries will not be accepted on the morning of the race.